A garage has many advantages if you keep it organized. However, without proper garage storage, finding what you are looking for can be impossible. The challenge is to store a wide variety of items efficiently. No matter the size of your garage, these tips for garage storage can come in handy. Never underestimate the value of pegboard. A simple pegboard uses vertical space to store items that would normally take up floor space. Group like items together that are used for a similar purpose. Take advantage of the various pegboard hardware attachments to meet your needs. Shelves are helpful for garage storage. You can install pre-built shelves or build them yourself. Consider the size of the items you will store when planning shelf spacing. Storage bins easily cut clutter by keeping items together. Buy clear storage bins so that you can clearly see what is inside. Label them to make finding things even more efficient. If your garage has studs exposed, simply nail 2×4 boards across them and install hooks for quick and easy storage. Hang items like brooms and buckets off the hooks for easy visibility and access. A tool tower rack can be purchased from any home improvement store to organize your yard maintenance tools upright for easy access. A cheap alternative is a wooden pallet attached upright against the garage wall. Place your yard tools in between the wooden slats. This is an affordable DIY trick with the same benefits as a tool tower rack. 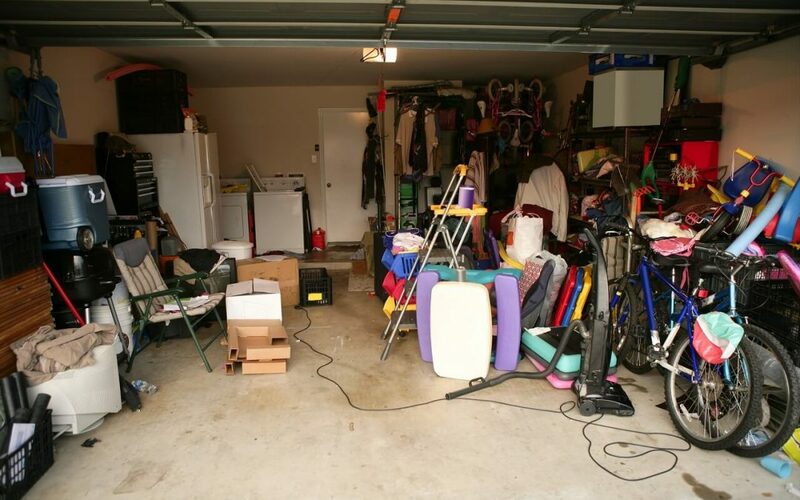 These four tips can help you organize your garage no matter the size. Stay productive this winter by organizing your garage. Come spring, you will be happy that yard tools, sporting equipment, and outdoor toys are easy to find. Eagle 1 Home Inspection Services serves the Coachella Valley and the surrounding areas with home inspection services. Contact us to request your inspection.